From The Morning Bulletin 24 April 2015. Demolition has now commenced on this great new project and will tidy up the street frontage in Musgrave Street. WORK will start within days on a new Puma Energy travel centre in north Rockhampton, bringing increased fuel and food convenience to locals and travellers on the road, the project’s developer says. The new travel centre at Berserker is due for completion in November. Executive director of the site’s developer, Ray Group, Jack Ray said the travel centre would be the most modern fuel and food stop north of the Fitzroy River. Fronting Queen Elizabeth Dve, which boasts a traffic volume of about 30,000 cars a day, it was an attractive prospect for potential retail tenants. “There’s a huge opportunity here for the right retailer to help service Rockhampton’s growth corridor by providing a convenient food and beverage outlet right next door to Puma’s convenience store on the home-bound side of a major transport route,” Mr Ray said. “As part of this project, we are currently seeking a tenant to occupy a 76 sq m space with prime frontage to Queen Elizabeth Dve. 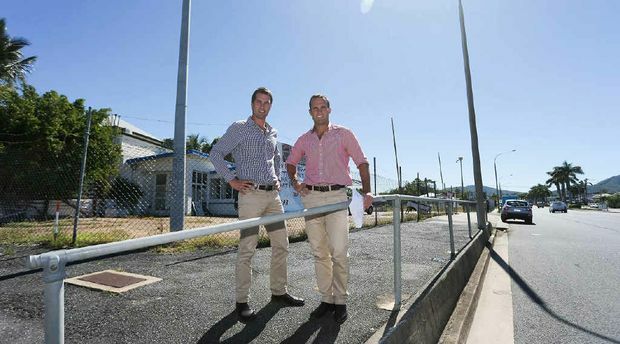 Mr Ray said potential retail tenants were looking at fast-tracked approvals and a quicker return on investment thanks to strong support from the Rockhampton Regional Council. “Due to council’s assistance with this project, approvals that would normally have taken nine months have taken nine weeks. “As a result, we have been able to start demolition on site this week with a view to completion by the end of the year,” he said. According to Ray Group, the Puma Berserker Travel Centre’s sole retail tenancy is ideally suited to a restaurant, cafe or fast food operator and has already garnered strong interest from national brands. “We have canvassed the majority of national fast food retailers and they were enthusiastic about a franchisee entering an agreement for the site, however there is also great opportunity for local operators to gain fantastic exposure considering the project’s location,” Mr Ray said.